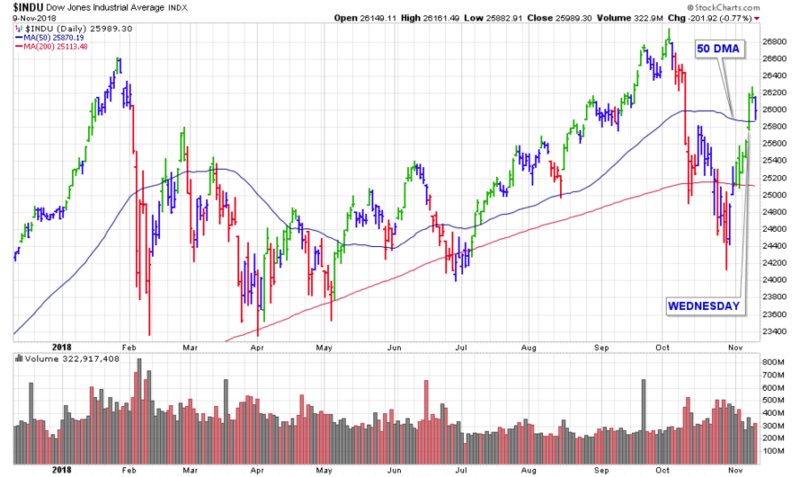 The major averages rallied for four consecutive sessions this past week, then each sold off sharply on Friday. The Dow Jones fell -0.9% that day as the index struggled to hold above its 50-day line while the Nasdaq closed back below its 200-day moving average and lost -1.7% on the session. The S&P 500 lost -1.1% during Friday’s sell off, yet managed to hold above its important 200 DMA. A look at the chart of the S&P 500 and we can see that the index failed this week at the previous highs, before Friday’s more definitive push-back of that resistance. For the week, all three main benchmarks did, however, post gains. The Dow increased +2.8%, the S&P 500 ended with a net gain of +2.1%, while the Nasdaq eked out a +0.7% gain. The Russell 2000 was down -2.4% during Friday’s session. Technicians would point out that the small cap index could see a so-called death cross manifest with a possible 50 DMA and 200 DMA convergence, should the current downtrend continue. More importantly – on Wednesday, we had a Day 7 follow-through with the bullish action in the session confirming a – by the book – uptrend. We also had an increase mid-week in the number of stocks breaking out from our watch list, which was another good accompany sign. 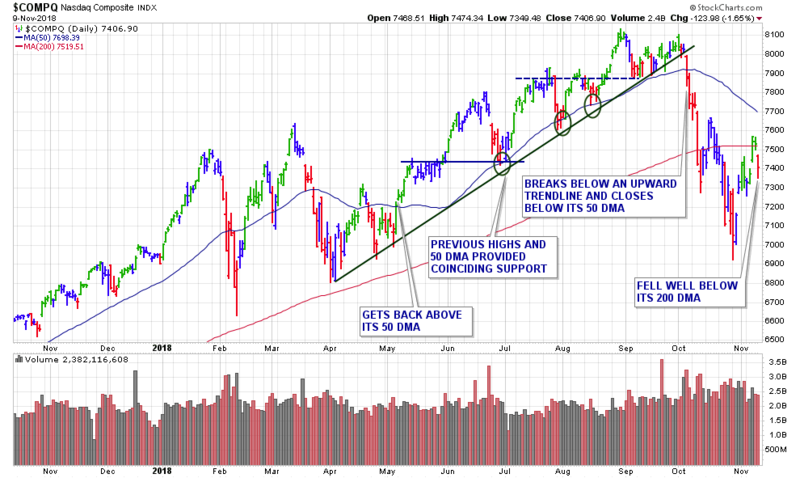 However, Friday’s negative broader-market action, dealt a serious blow to the recently confirmed uptrend. There was also higher volume on Friday which shows that institutional investors were selling into the week’s rally. 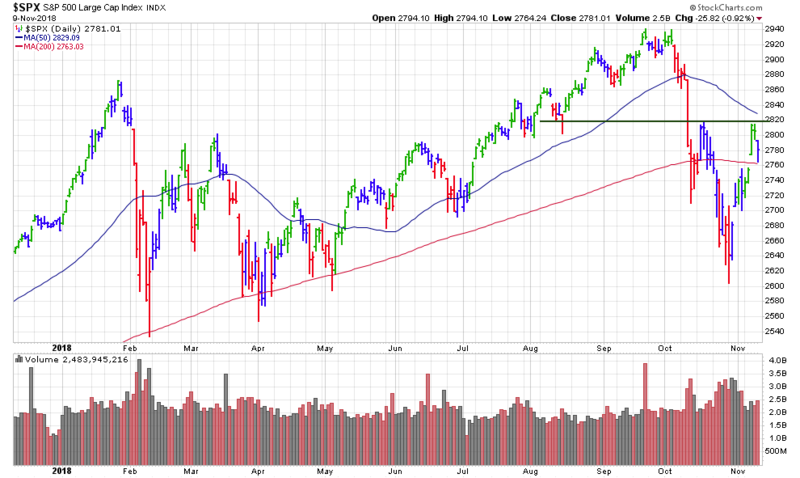 Heavy-volume selling that early into a newly confirmed uptrend is not a good sign. I ran my full stock screens over the weekend, yet only found one new stock to add to our watch list for the week. Somewhat odd for the start of a new rally….